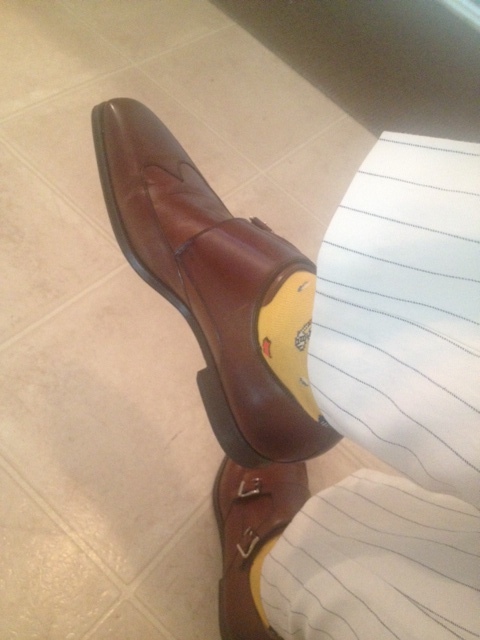 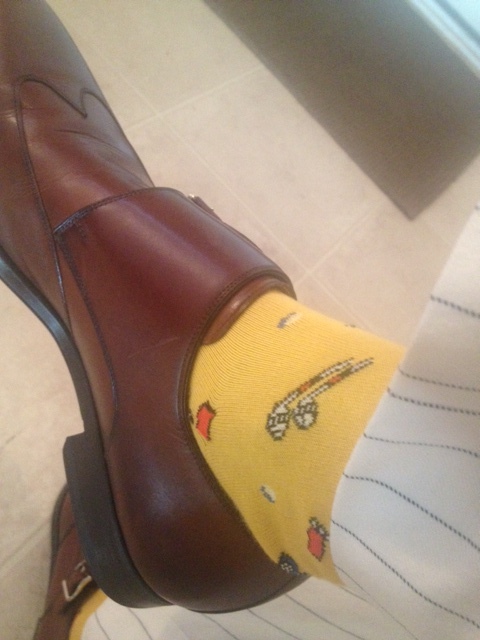 Brown wingtip double monk strap dress shoes by Magnanni. 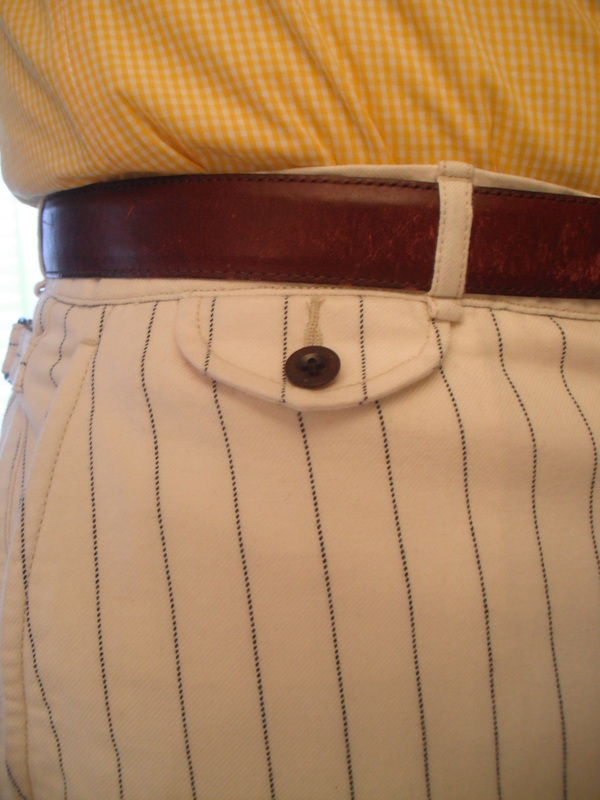 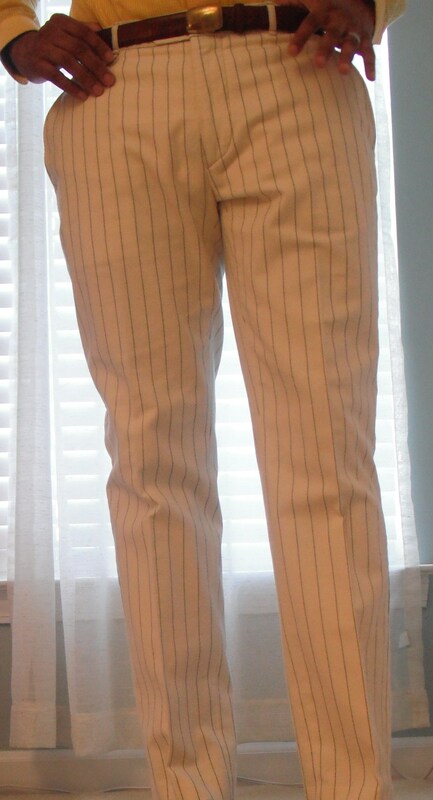 Cream and navy chalk stripe trousers by Ralph Lauren. 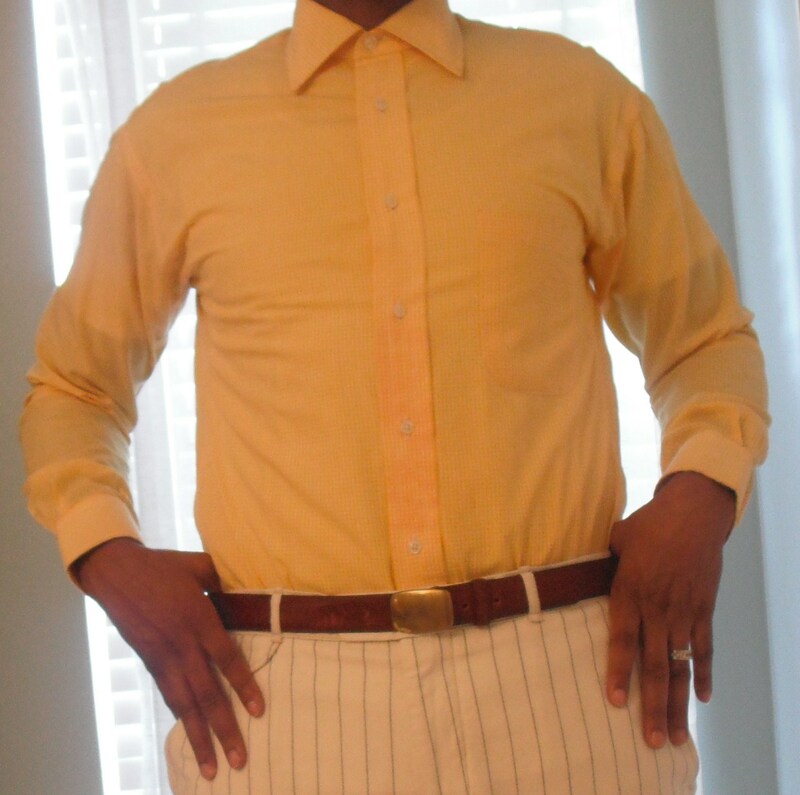 Gold spread collar gingham dress shirt is by Burberry. 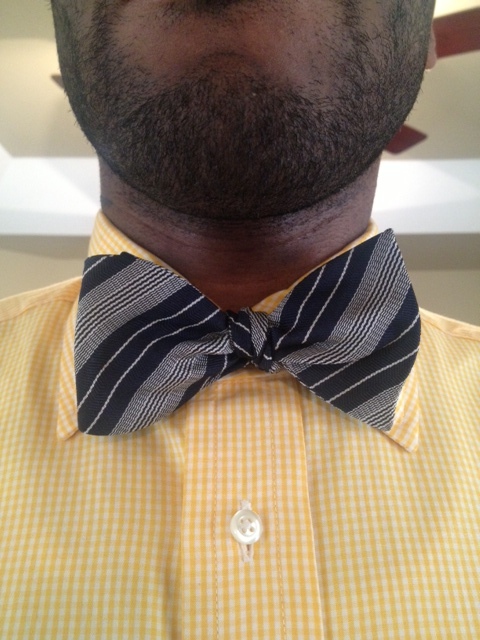 Navy striped tie by Ralph Lauren is a thrifting find. 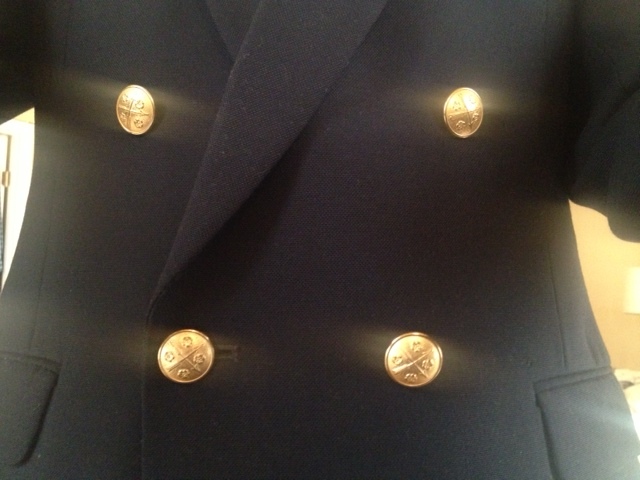 Navy double-breasted blazer with the four-button silhouette, original gold buttons, peak lapels, side vents, flap pockets, and full interior lining is a thrifting find. 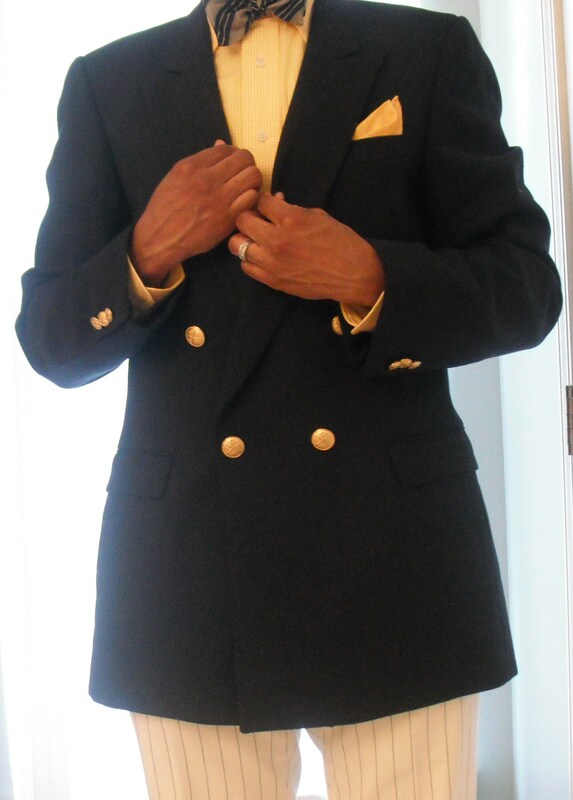 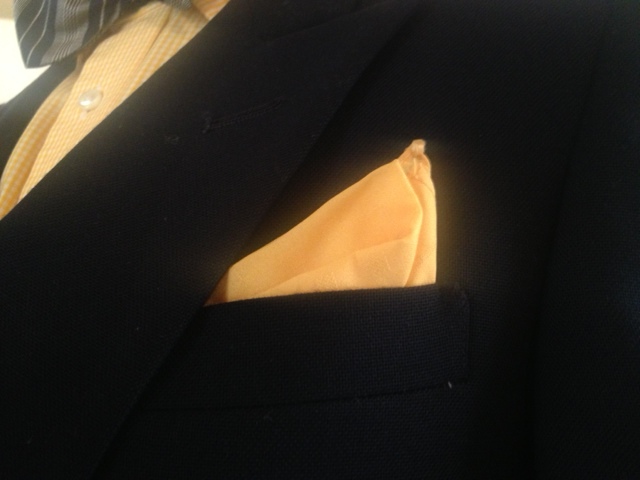 Gold pocket square is also a thrifting find.